Plymouth Meeting, PA — July 24, 2017 — Therapy Source, Inc., the premier national provider of in-person and online therapy staffing services and solutions, has announced its recent hire of Tracy Sippl, M.S., CCC-SLP as TheraWeb Clinical Manager. In this role, Ms. Sippl will provide clinical oversight and subject matter expertise in support of TheraWeb, Therapy Source’s user-friendly platform for online, real-time therapy delivery. She will also assist in the creation of relevant content, and collaborate toward the implementation of ongoing TheraWeb platform enhancements. 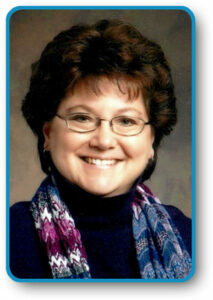 Based out of Wisconsin, Tracy comes to Therapy Source with 29 years of experience as a Speech-Language Pathologist. This includes several years providing onsite, in-person services for schools, as well as 6 years providing online speech services as a Teletherapist. She is a member of many prestigious industry organizations, including the American Telemedicine Association, the American Speech – Language – Hearing Association (ASHA), and the Wisconsin Speech-Language-Hearing Association (WSHA). Ms. Sippl is licensed to provide Speech-Language Pathology services in Wisconsin, California, Arizona, Texas, Washington, Pennsylvania, Michigan, and Maryland. She is also ATA-certified. 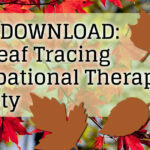 Tracy Sippl, M.S., CCC-SLP is available as a telepractice subject matter expert for articles and events. Interested journalists and event organizers can reach out to Rachel Ostafi, Therapy Source Marketing Director, at 866.783.5301 x 305, or rostafi@txsource.com. Therapy Source, Inc. is the premier national therapy provider of comprehensive in-person and online staffing services and solutions. A powerful presence in the educational sector since 2001, Therapy Source’s personalized commitment to service – and ability to facilitate rapid therapist placement – have resulted in partnerships with hundreds of school districts across the US. Therapists, psychologists, BCBAs, and special education teachers seeking placement – and schools seeking an agency to assist in filling therapist, psychologist, BCBA, or special education teacher positions – can learn more at www.txsource.com.